Sonoma County residents are voting today whether to join neighboring counties in a ban of genetically modified agricultural crops, reported Filipa Ioannou in the San Francisco Chronicle. Longtime Sonoma County resident Glenda Humiston has been named vice president of UC Agriculture and Natural Resources, reported Angela Hart in the Santa Rosa Press Democrat. 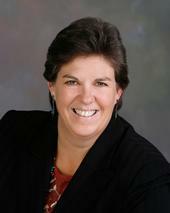 Humiston was appointed by UC President Janet Napolitano and confirmed by the UC Board of Regents. Her first day in her new post is Aug. 3. "I'm excited beyond belief," Humiston told the Press Democrat. "This is such an opportunity to make a difference on many levels." Humiston succeeds Barbara Allen-Diaz, who retired June 29. A new free UC ANR publication helps hikers, bikers and runners peacefully co-exist with grazing animals. Hikers, cyclists and runners can learn to enjoy nature alongside grazing cattle with information from a new UC Agriculture and Natural Resources publication, reported Andrew McGall in the Contra Costa Times. Sharing Open Space: What to Expect from Grazing Livestock, written by Stephanie Larson, UC ANR Cooperative Extension livestock advisor, is available free in ANR Catalog. A scenic Sonoma County farm. Students accepted into a new farming and ranching education program being offered by UC Cooperative Extension in Sonoma County and other institutions will have their first of nine monthly meetings March 30, wrote Michael Shufro in the Santa Rosa Press Democrat. 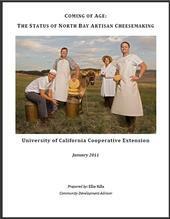 The UCCE report on artisan North Bay cheesemaking. The development of an artisan cheesemaking industry in Sonoma and Marin counties is enhancing the ambience of agriculture in the picturesque rural community, according to Stephanie Larson, the director of UC Cooperative Extension in Sonoma County.